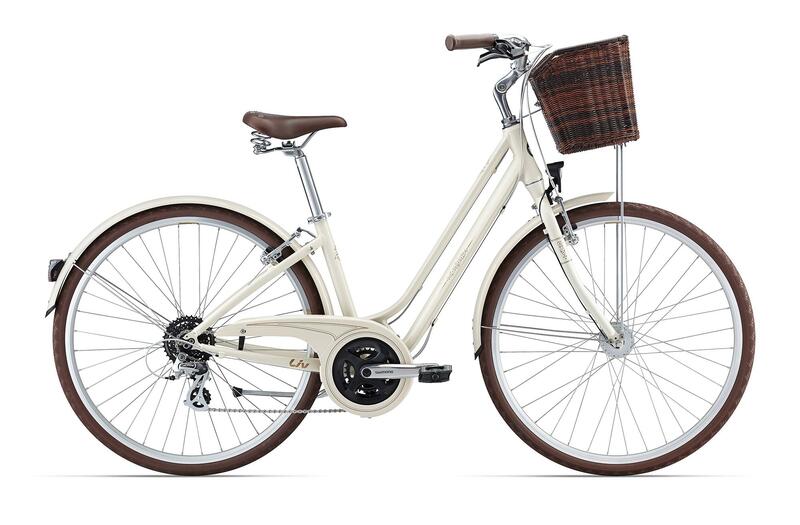 Looking extraordinarily stylish, this beautiful bike is a fun way to get around town.With a functional yet elegant design and a lightweight aluminium frame that’s designed specifically for women, the all-new Flourish takes you from the market to the city centre with ease. The step through design makes it quick and easy to hop on and off. Select models offer integrated fenders and a full chainguard to protect you from dirt or road debris in any kind of weather, plus baskets and racks to carry your things. A cushioned spring saddle helps smooth out rough roads and stylish yet functional grips add the finishing touch.